So easy to use. 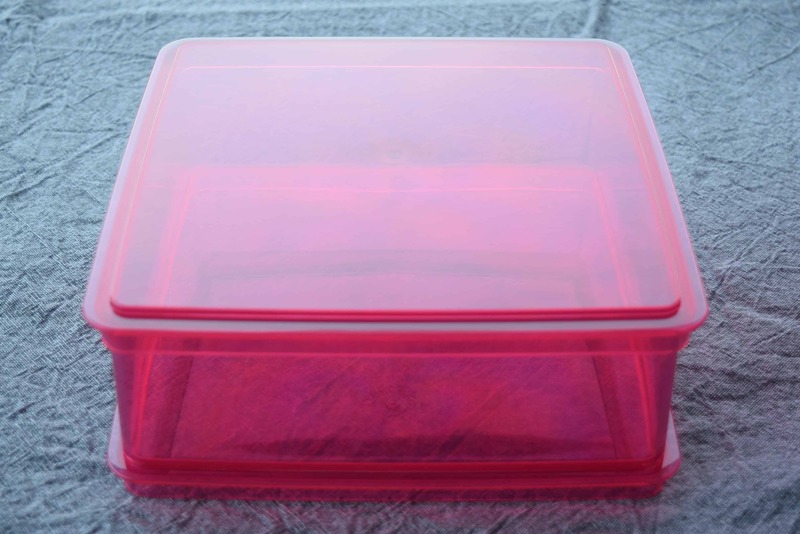 Does not stick and love how I am able to prep, serve and store all in the same container. Also, it slides off so easily. Exactly as advertised! Woohoo, there is a supplier here in Mackay. D. I. Y party supplies. I'm going to make some jelly slices for my hubby's 60th birthday party this weekend. Worst service worst cakes its disgusting, simply disgusting !!! 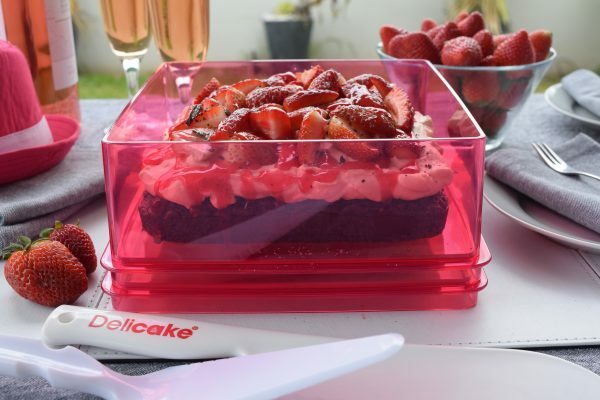 Love Delicake cake ware. So versatile. I store my chocolate banana cake I made today in it. Make all my cheese cakes in it. Great product. It's great, so easy to use. Makes no mess when it slides off or back on. 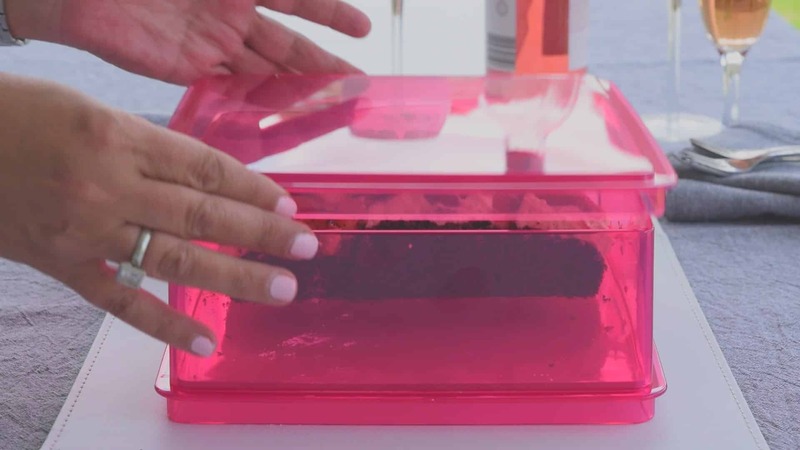 No need for extra cake or slice storage containers. Great product. Works perfectly. Very impressed! I would definitely recommend. Excellent. Receive my round one last week and I have used it twice already. Saving £ to buy the square one and have been telling all my friends. 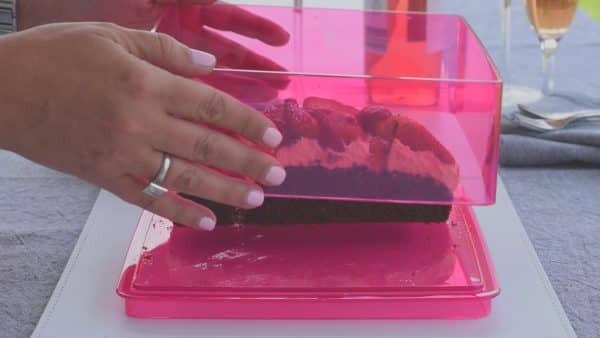 Love this product, have now made a strawberry and a pineapple cheesecake to take to friends, easy quick and works so well. So much easier using Delicake, love it and 100% Australian! The best to use! so easy, no mess!! Highly recommend for others !! Every kitchen needs one of these! 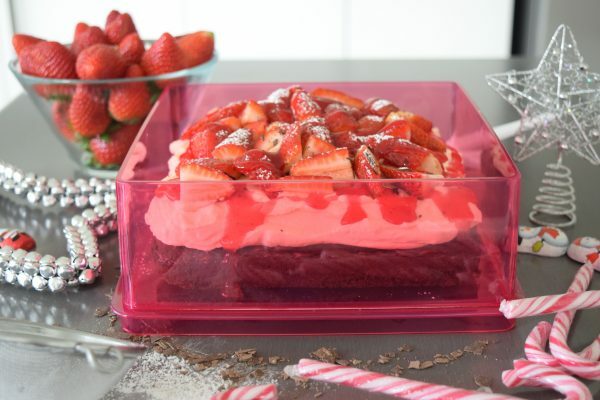 Will definitely be making more desserts now! Love the concept. My wife and my mother are going to be all over this! Made of recyclable reusable pink food grade plastic. For preparing-setting & serving no bake recipes. ROSE SQUARE MASTER – RSM SIZE: 8inch x 8inch-200MM x 200MM. FAST Shipping NOT AVAILABLE IN THE UK via RoyalMail. Our Limited Edition Rose Square Master – RSM is made of pink recyclable reusable plastic food grade material and BPA free. Our RSM Master is designed for the convenience of preparing-setting & serving no bake recipes . It’s an all in one solution saving you time and effort. Perfect your recipes, transport easily and present beautifully on any table. It allows you to transport your masterpiece with its sturdy grip around the base and secures the recipe with a lid. Our feature in our transparent removable sleeve allows you to set your ingredients within the cylinder perfectly. Our base becomes a perfect serving plate that allows you to cut and serve from without any barriers. NOT Available in the UK, Shipping via our warehouse in West Sussex. 1. 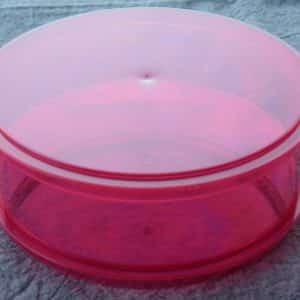 Attach the base (ensure Delicake is upwards as it reads) and sleeve together using the indent snug fit to ensure security. 2. Put your fresh ingredients in the mould. 3. Cover using the lid and refrigerate/freeze. (ensure Delicake is upwards as it reads). 2. Put both hands on the sleeve firmly and slowly raise the sleeve from the base and lifting the upwards. 3. Ready to serve on the base at any table using non abrasive cutting utensils. Use warm soapy water with soft cloth. Do not use scouring pads or abrasive soap. Do not put in oven or on stove top. Do not allow any direct or indirect heat next to product. Do not use hot ingredients above room temperature. Do not use water based ingredients without a biscuit base on the bottom. For your peace of mind, all items purchased from Delicake website are guaranteed against manufacturing defects for a period of 12 months from the date of purchase. Australia Wide- Flat rate $9.95. We do not ship to P.O Boxes in Australia. If your Country is not listed on the shipping detail list on our ‘Checkout Page’ or you require more than one pack, please email us to receive a quote on all international shipping orders at info@delicake.com.au. How do I check the statue of my order? All orders received before 9am in Australia – will be sent out for delivery on the same day, depending on your destination, you will receive goods within 2-14 business days. All overseas orders received after 9am- will be sent the same day for delivery within 7-14 business days depending on your destination. 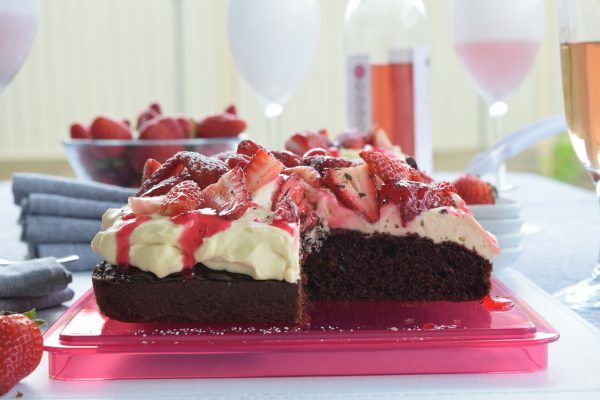 We hope you are delighted with your order from Delicake however if for any reason you are not satisfied with your product, please contact us within 7 days and we will be happy to process an exchange providing the goods are in their original, unused condition. The use of the website and the purchase of any goods (“Goods”) from the Website is governed by these terms and conditions (“Conditions”). We reserve the right to modify these terms and conditions from time to time without notice to you. There is no charge imposed by us for accessing the Website but you must pay the cost of the communications link you use to visit the website. Goods supplied from the Website are supplied by J Gear Pty Ltd a registered Australian company T/As Delicake. Registration ABN: 32 087 513 951 and whose registered office address is in Australia. Your submission of an order represents an offer to purchase Goods indicated by you and it is not binding on us until we have notified you that an order is accepted. All advertisements and communications made by us until your order is accepted by us are invitations to treat only and are not offers. This means that if Goods are shown on the site but are not available or are incorrectly priced or otherwise incorrectly described, Delicake shall not be obliged to sell you those goods. You acknowledge and agree that the material and content contained within the Website is made available for your personal use only and that you may download such material and content onto only one computer hard drive for such purpose. Any other use of material and content of the Website is strictly prohibited. You agree not to (and agree not to assist or facilitate any third party to) copy, reproduce, transmit, publish, display, distribute, commercially exploit or create derivative works of such material and content. Whilst we will use reasonable endeavours to verify the accuracy of any information we place on the Website, we make no warranties, whether express or implied in relation to its accuracy. The Website is provided on an “as is” and “as available” basis without any representation or endorsement made and we make no warranties of any kind, whether express or implied, in relation to the Website, or any transaction that may be conducted on or through the Website including but not limited to, implied warranties of satisfactory quality, fitness for a particular purpose, non-infringement, compatibility, security, accuracy, conditions of completeness, or any implied warranty arising from course of dealing or usage or trade. We make no warranty that the Website will meet your requirements or will be uninterrupted, timely, secure or error-free, that defects will be corrected, or that the site or the server that makes it available are free of viruses or bugs or represents the full functionality, accuracy or reliability of the materials. We will not be responsible or liable to you for any loss of content or material uploaded or transmitted through the Website. To the fullest extent permissible under applicable law, we disclaim any and all warranties of any kind, whether express or implied, in relation to the Goods. any loss which was not brought to the attention of Delicake at the time the contract was made or any loss that would be an unforeseeable consequence of a breach of the contract by Delicake; in any case whether or not such losses were within the contemplation of either of us at the date on which the event giving rise to the loss occurred, was suffered or incurred by one of us arising out of or in connection with the provisions of any matter under these Conditions. These Conditions (as amended from time to time) contain the entire agreement between you and us relating to the subject matter covered and supersedes any previous agreements, arrangements, undertakings, representations or proposals, written or oral, between you and us in relation to such matters. You confirm that You have read these conditions and, You fully understand them and You also agree that these conditions are the only terms (together with Your network provider agreement ) that rule Your relationship with us. The Conditions shall be governed by and construed in accordance with the laws of the State of New South Wales and you irrevocably submit to the exclusive jurisdiction of the courts of New South Wales.